For its 10th Edition, The Biennale Internationale Design Saint-Etienne 2017 will take place from 9th March to 9th April 2017, with the general thematic “Working Promesse, Shifting work paradigmes”. Work is one of the major preoccupations of our society. For us all, work generates income and status; a promise of emancipation and prospect. Offshoot of the dream of a generalised full-employment, work is at the heart of political and economic attentions, but at the start of this 21st century, it is changing and transforming. From digital labour to the share, the world of work is being reshaped; it is inventing new organisations, new services but also new throes and new hopes. Designers, companies and the Saint-Etienne territory will gather in 2017 to confront perspectives, ideologies, innovations and desires. And it is with the participation of the public that we will work towards this promise. Since its first edition in 1998, the Biennale Internationale Design Saint-Étienne has gained an international reputation in the design field, attracting more than 200 000 visitors. The aim is to reveal the current state of design and creativity worldwide and to invite visitors to question themselves on the evolution of societies and on new ways of life. Occupying vacant buildings to test new ways of working or learning; federating the makers community to contribute to the development of a district; activating and improving the quality of public spaces involving cultural and associative stakeholders, users, residents etc. A non exhaustive list of experiences made by the partners of the European project Human Cities_Challenging the City Scale led by Cité du design Saint-Étienne from 2014 to 2018 within the framework of the programme Creative Europe/Culture of the European Union. 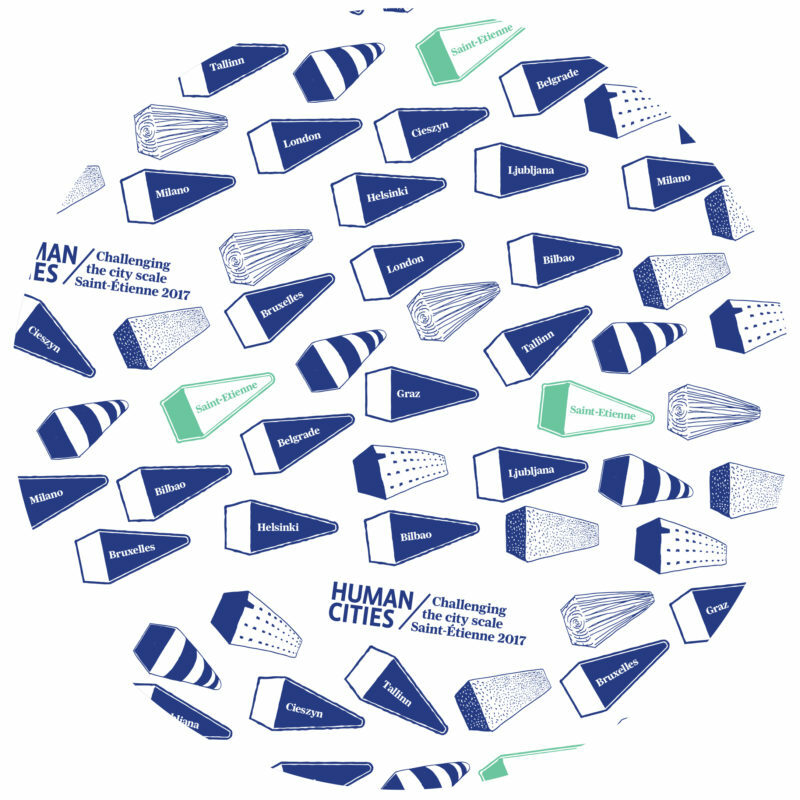 Human Cities is a multidisplinary network made of 12 partners: Cité du design Saint-Étienne [FR]; Politecnico di Milano, Milan [IT]; Urban Planning Institute of the Republic of Slovenia, Ljubljana [SI]; Clear Village, London [UK]; Zamek Cieszyn [PL]; Design Week Belgrade [RS]; Pro Materia, Bruxelles [BE]; Aalto University, Helsinki [FI]; FH Joanneum, Graz [AT]; Association of Estonian Designers, Tallinn [EST]; BEAZ/Bilbao-Bizkaia Design&Creativity Council, Bilbao [ES]; CultureLab, Bruxelles [BE].